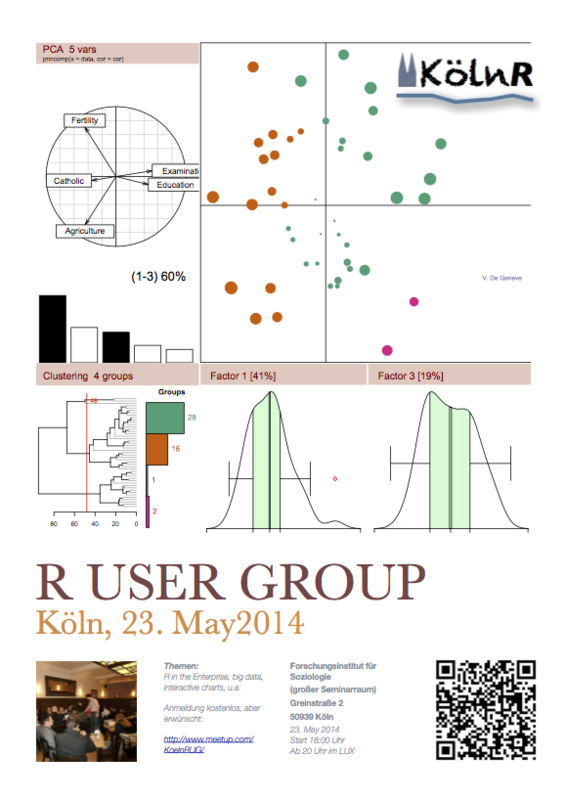 The next Cologne R user group meeting is scheduled for this Friday, 23 May 2014. Followed by drinks and schnitzel at the Lux. Further details available on our KölnRUG Meetup site. Please sign up if you would like to come along. Notes from past meetings are available here.